The Upside, starring Kevin Hart as Dell Scott and Bryan Cranston as Phillip Lacasse, is a heart-warming tale. Based on the true story of Philippe Pozzo di Borgo and his life auxiliary Abdel Sellou, The Upside tells the story through the eyes of Phillip (instead of Phillippe) and Dell (instead of Abdel). The Upside is also a remake of the French film The Intouchables. A little backstory: Phillip became a quadriplegic after a tragic paragliding accident. With his wife having passed away after a battle with cancer, Phillip wants to give up on life. This is why he chooses to hire Dell as his life auxiliary. Phillip believed Dell wouldn’t have the capacity to keep him alive if he were to have another medical issue. As you watch The Upside, you discover Phillip was wrong. Dell gave Phillip the ability to live life again. While you’ll enjoy The Upside for the story and humor, you will also be able to walk away with plenty of leadership lessons from this great movie. We’ll be discussing the leadership lessons in The Upside in today’s Reel Leadership article. Dell Scott was an ex-con who was forced to look for a job by his parole officer. If he didn’t find a job, he would be going back to jail. This led Dell to apply for a position as the janitor at Phillip’s condominium associate. Except he wound up interviewing to become Phillip’s life auxiliary. While waiting for the interview, Dell wandered Phillip’s home and discovered a library. From the library, Dell took a first edition of Huckleberry Finn to give to his son, Anthony (Jahi Di’Allo Winston). Leading your organization to success is important. There’s another important organization that many leaders often forget. This organization is their family. You cannot continue to miss family events and expect them to continue to hold on. You have a responsibility to your husband or wife, your sons and daughters. Don’t be a leader who’s there for his organization but not there for your family. You cannot make up for the life events you miss. We can be honest, Dell wasn’t the most upstanding citizen at the start of the movie. He had made plenty of mistakes. Latrice was tired of those mistakes. Dell tried to spend the night at her apartment. Latrice told Dell to get out. He’d put Latrice and Anthony through enough pain and suffering. He needed to go. Latrice was tired of Dell’s crap. He’d done too much damage. She was done. 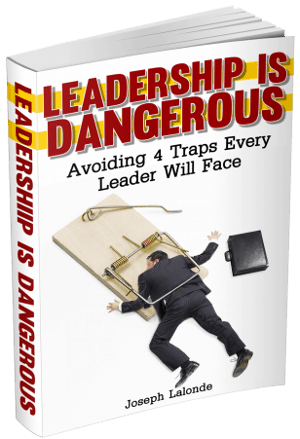 If you’re a bad leader, you’re putting your team through crap they shouldn’t be going through. This may be through a lack of communication or not giving them the necessary resources to accomplish their KOIs. Be a leader who gives their team a reason to stick around. Give them less crap and more value. Many people are impressed by money. Because money can buy fancy homes, cars, amenities they often see money as a be-all end-all. But money isn’t everything. Phillip learned this. He was an extremely wealthy man due to public speaking and self-help books. Yet when his paragliding accident happens, money no longer meant what it once did. Money couldn’t buy him what he desired. You cannot focus your life solely on money. Money will buy you certain things. Money will not buy you the important things. One of Drew’s tasks was to transport Phillip. To do so, he needed transportation. Phillip had plenty of cars. One of those being a van. Drew mentioned all of the other cars when Phillip said they weren’t practical. Drew didn’t care. He knew the cars were fun. He chose to get Phillip into one of the fancy sports car. This was the car he would use to transport Phillip, despite the car being impractical. Leaders minds think everything has to be practical. There has to be a purpose behind what is being done and the tools being used to accomplish the task. But that’s not true. You can have beautiful tools that are impractical that still get the job done. They might break or get damaged. The tool might be too fast or too slow. Does this mean the tools shouldn’t be used? No, their impracticality could make them just the tool to be used. You pay to show it has value. Phillip was looking to complete a set of paintings his wife loved. The paintings had an astronomical cost to them. Dell noted this. The response Phillip gave was amazing. He told Dell that while the price was high, you paid the price to show the piece has value. Man, how powerful is that? You pay to show the item or people you employ has value. Do you follow this line of thinking? Are you people being paid their worth? Are you showing them you value them? What you pay shows what you value. Make sure you’re valuing the right things. Many of us want people to forget our past performance and to focus on our future potential. Dell did too. He knew he had screwed up in the past. He wasn’t a saint. This he knew. Latrice knew his past performance showed he wasn’t a valuable business asset. She believed Dell wouldn’t be able to hold down the job as a life auxiliary for long. He would be a bum again soon enough. This was because his past performance showed it. And it’s hard to judge someone aside from their past performance. You and I have both made mistakes in the past. Our pasts may not show we will be the best performers. People will judge us by that. You will have to live with the consequences of your past actions. It’s how people will judge you. However, you can move on and show them you are better than your past. Yvonne Pendleton (Nicole Kidman) was Phillip’s assistant. She was looking for his new life auxiliary and had many great candidates. Many of them were degreed and well-dressed. Dell was neither. He barged in on one applicant and presented his papers to be signed. Phillip saw Dell as a way to leave this world. He was the wrong person to take care of him but the right person to help him die. Yvonne believed Dell was the wrong person, period. She didn’t like him. She thought he would do a poor job. And she was wrong. Dell turned Phillip’s life around. Dell became the right person through relationship building and training. You may think you have accidentally hired the wrong person for your team. They’re incompetent or lazy. You don’t think they have what it takes. I want to offer a challenge to you. Be like Phillip. Give your team members something to live up to. That wrong person may just become the right person. Some people have no filter on what they’re willing to ask. They’ll ask honest questions regardless of how tacky they may sound. Phillip explained to Dell he had neurogenic pain in his legs. Neurogenic pain caused his legs to feel like his legs were on fire. After explaining this, Dell asked Phillip if this was why he wanted to off himself. The explanation Dell received wasn’t what he was expecting. His honest question received an honest answer. Phillip wanted to off himself because of the pain of losing his wife. Honest questions often beget honest answers. However, honest questions are hard to ask. Honest questions put you in a vulnerable position. You have to be willing to hear the truth and help people through the truth. Asking questions, especially honest ones will get you the answers you need. Learn to ask questions. Do you know what caused Phillip Lacasse’s accident? He had a lapse of judgment and chose to paraglide during a storm. His bad judgment caused him years of misery. He crashed his glider and nearly died. That’s bad judgment! Leaders will make bad judgments too. These bad judgment calls will not only impact the leader’s life but the lives of everyone they lead. Do what you can to make the best judgment calls you can. Your life and others are counting on it. Dell talked up Latrice and Anthony to Phillip. He told Phillip how smart those two were. How he knew they were good people and could do great things. When Phillip told Dell he was smart too, Dell couldn’t see it. He dismissed the positive words Phillip spoke to him. We’ve been beaten down throughout our lives. Teachers, parents, loved ones have told you that you’re not good or smart enough to be successful. This makes it hard to see your good qualities. When others tell you something positive about yourself, take note. They’re not pulling your strings. They see something in you that you may not be able to see. Find something you love doing. Then find a way to scale it. Dell was always looking for a business idea. He mentioned an I Deal app that would help people find a drug dealer. Or maybe he could become an artist. After sharing his ideas, Phillip could tell Dell wasn’t passionate about them. Instead, Phillip encouraged Dell to find something he loved and to scale the business idea. We will often go after the quick dollar or a flashy business idea. We want to find a quick path to success. Yet you can’t do this. Instead, look at your passions. See what you’ve loved to do as a child and an adult. There are hints throughout your life as to what you were made to do. Use these hints to look at business ideas you could do. Then find a way to scale those ideas. Phillip had Dell bring him to the opera. At the beginning of the opera, Dell was talking and laughing. He wasn’t into the opera. By the time the opera ended, Dell was leaning in. He was interested in the opera. He changed in the brief time he was sitting there. His chance to learn about the opera almost didn’t happen. Because of his uncouthness, the attendees of the opera were shushing him and becoming upset. They’d come to the opera house to enjoy the opera not hear someone laugh and talk through the event. With a little guidance from Phillip, Dell learned to appreciate a culturally different event. He learned to love opera. You have the choice to destroy the possibility of someone learning to love culture and helping someone discover the beauty in culture. The way you treat them as they’re first exposed to culture can make or break their love of it. Be kind. Show understanding to people who struggle to grasp the guidelines of cultural events. Help them through the process and you might win someone over. Phillip had been using other poet’s poems to love on an episcopal love interest. He was constantly writing to Lily (Julianna Margulies) and couldn’t find his own words. Phillip believed he had to use poet’s poems because he wasn’t a poet. Dell knew otherwise. He knew everyone had something to share. Something beautiful. So he and Yvonne helped Phillip write his own poems to Lily. Dell believed everyone was a poet. I believe everyone has the potential to be a leader in some capacity. Our daily lives show this to be true. Whether we’re influencing a family member, friend, or coworker, our influence is what makes us a leader. Be willing to show you’re a leader by stepping up and doing what a leader does. The important thing is to encourage potential. Dell had tried to take up painting. His first piece was a dog in an abstract setting. It had potential but it wasn’t good. Still, Phillip encouraged Dell. He saw the potential in what Dell could do if he practiced and pursued the art. Do you look for the potential in the people you lead? Or do you only see the negative actions? Great leaders look for potential. They know if they could just encourage the potential of their team members, they could soar. Be an Encourager. You and your team need it. I know about his past. I’m interested in his future. Carter (Tate Donovan) was one of Phillip’s neighbors. He had researched Dell and was concerned about his past. When he brought up his concerns, Phillip answered with the above quote. Dell’s past meant nothing to Phillip. What mattered was where Dell could go. And he was able to go far. As a business leader, we often rely on people’s past to predict their future. Phillip was able to get over this and discover someone who was an amazing asset. Can you get over someone’s past and look at their future? If so, you might be able to transform the life of another Dell. Quote: Have you seen The Upside? If so, what Reel Leadership lessons did you take away from the movie? 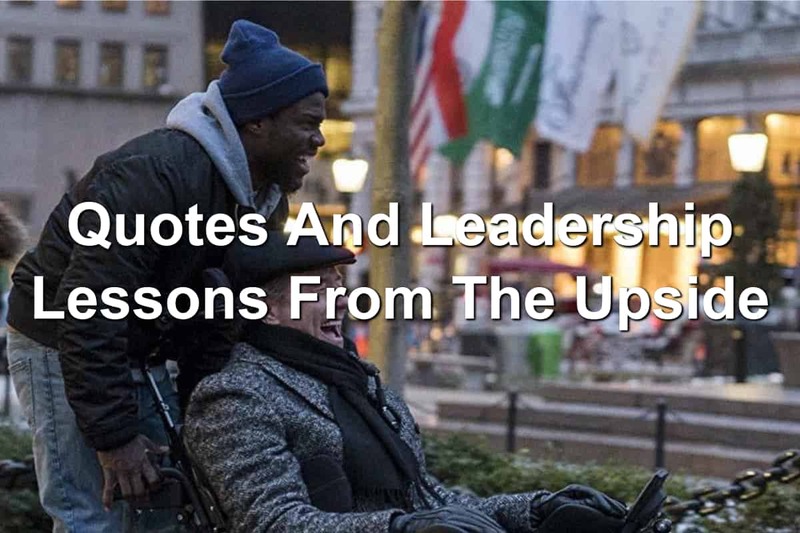 If you haven’t seen the movie, what leadership lessons from The Upside that I shared resonated with you? Let’s talk about it in the comment section below.